At Hotel Le Toiny our priority is your well-being! "Real laziness is getting up at six in the morning to take longer to do nothing," wrote Tristan Bernard. This is the kind of atmosphere present at Le Toiny, a paradise lost on the heights of Saint Barth in the heart of its palm grove of 17 hectares. Intimacy, exclusivity, rejuvenation, relaxation are the qualities that will characterize your stay at the Hotel Le Toiny. We offer a full range of sports, activities, fitness, spa, treatments and wellness services to make your stay even more irresistible. The Hotel Le Toiny Serenity Spa is a paradise on earth. Enter a treatment room nestled in lush vegetation with panoramic sea views and surrender to Elemis therapies that work wonders for the body and mind. Nothing like a few hours of total cocooning to give you energy and make you feel rejuvenated! For fitness enthusiasts, we have a range of high quality professional equipment at your disposal, including a treadmill, fitness bike, elliptical, "Kinesis" stretching station and dumbbell bench. 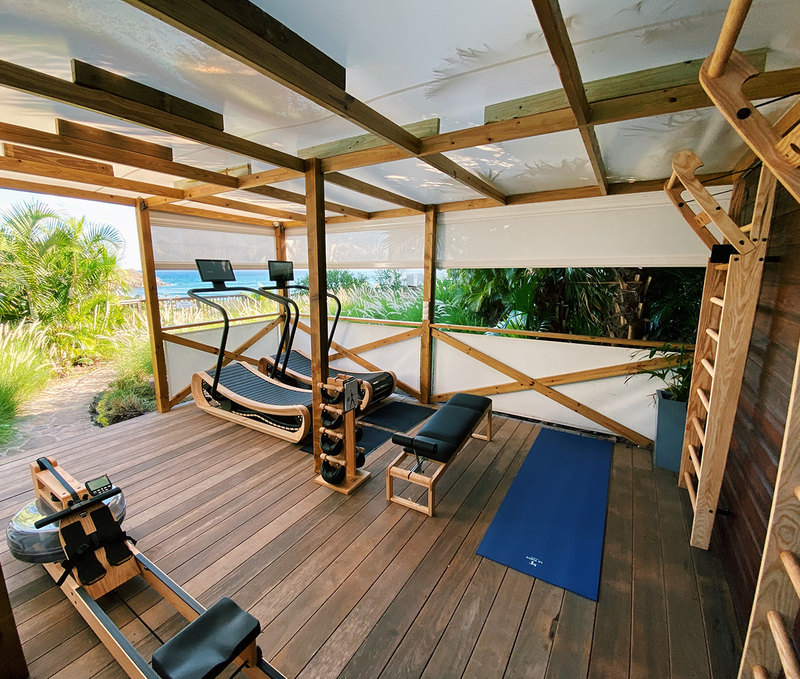 Private fitness classes, yoga and pilates can be organized at your request on the Toiny Beach, in the fitness room or on the terrace of your suite. Equipped with a home theater & satellite system and a view of the ocean, the Fitness Center gives you all the right reasons to come and train. Enjoy a shoping spree without ever leaving Le Toiny ! 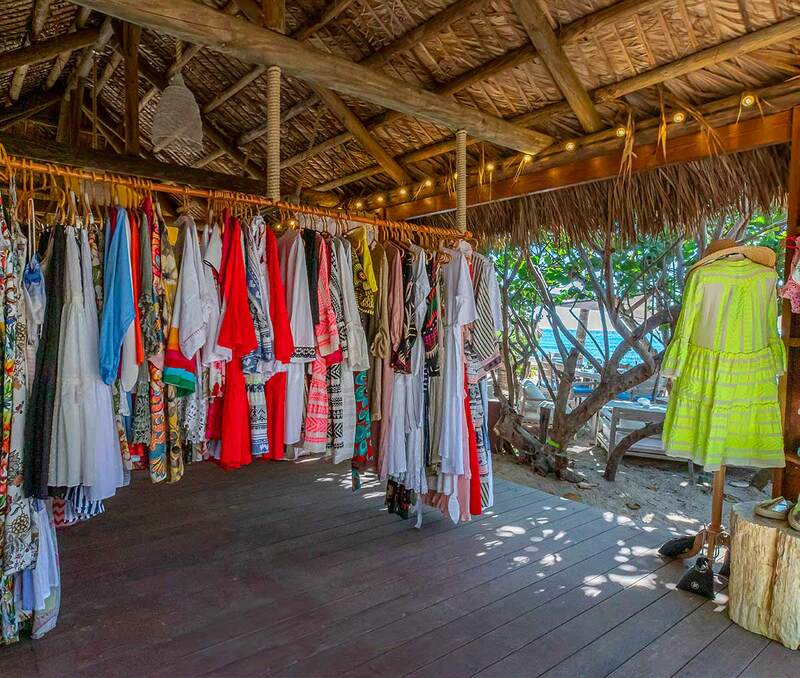 The Hotel Le Toiny Boutique offers a curated selection of the best beach ready-to-wear brands. Always on-trend and constantly updated, the Boutique is located at the Beach Club and offers unique and high quality brands that follow the fashions and the seasons. A handful of designers and inimitable creators complete this selection "made in Le Toiny". Our reception team at Hotel Le Toiny is at your disposal to organize the best activities on the island and its surroundings. Do not hesitate to contact us as soon as you arrive or during your stay.